They’re not convinced. Incredibly, even after winning 10 games in a row and becoming the League’s undisputed #1 team, there are still people out there who aren’t convinced about just how good the New Orleans Saints have been (and still are) this season. You see it happening on ESPN and NFL.com among alleged analysts and so-called experts, or you can hear or read about it on Social Media from football fans that support other teams, but there is still a notable portion of the American football public that remains largely unconvinced about the capabilities of this current Saints team. But perhaps that can change later tonight. when the (10-1) Saints take the field at AT&T Stadium in Arlington, Texas to face the (6-5) and NFC East Division-leading Dallas Cowboys; in a nationally-televised Thursday Night contest. Or then again, maybe it won’t. 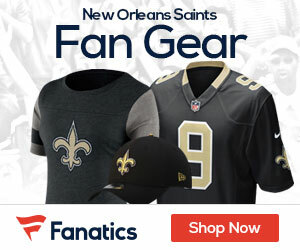 You see, while it’s reasonable to expect that fans of other teams will want to remain in denial that the Saints are THE BEST team in the entire NFL and therefore better than their own favorite team(s), those alleged analysts and so-called experts at ESPN, NFL.com, and elsewhere within the National Sports Media have another agenda. And that agenda quite simply is that there are those who would rather see a different team emerge as this year’s “top dog” other than New Orleans. The Los Angeles Rams and the Kansas City Chiefs are the two teams in particular that have become the “darlings” of that agenda, and for a variety of different reasons. But the biggest reason seems to be that they want to tell stories other than that of the Saints and especially Drew Brees; of whom they feel have had their story told already back when the Black and Gold won the Super Bowl over 8 years ago. Stories such as the Rams returning Southern California and “Hollywood” to NFL prominence with their outstanding (10-1) season (despite their only loss to the Saints). Or some tales they’d really prefer to tell about new young superstar sensation and Chiefs quarterback Patrick Mahomes — who leads the NFL in TD passes (37) and arguably has become the League’s most exciting player to watch in only his 2nd NFL season. However, the problem with that is that with them doing so, it requires them to almost BLATANTLY IGNORE facts such as that it’s actually the Saints who are the team that’s the “hottest” in the League right now with the NFL’s current longest winning streak, and they beat the Rams — who have beaten the Chiefs — by double digits. Or the fact that the Saints have been so dominant recently that just in their past 4 games alone, their offense has scored a whopping 175 points; coming in wins over those very same Rams (45 points scored ); as well as the Bengals (51 points), Eagles (48 points), and the Falcons (31 points). Maybe they just missed the fact that the Saints offense as of this moment leads the NFL in points scored (409) and who through 11 games averages an NFL-leading 37.2 points per game and has scored at least 40 or more points in a game SIX DIFFERENT TIMES already. That’s not even mentioning that the Saints defense — the one thing that most experts actually agreed with each other would prevent New Orleans from getting to the Super Bowl much less winning it — has steadily been getting better with each game and which last week had 6 sacks, 5 forced fumbles, and limited Atlanta to only 26 yards rushing yards. And it goes without saying: the notion that Mahomes is more “deserving” to be named the League MVP over Brees at this point; given the type of year that the future NFL Hall of Famer and 18th year veteran (who just happens to have NEVER won the award) has had while setting a handful of NFL records along the way; seems almost disingenuous at best. But the actual truth is that those “lingering doubters” if you want to call them that, are very well aware what this Saints team has done this season. They just don’t want to tell the story and instead would rather prefer to push either the Rams or Chiefs-related narratives instead. Obviously, the Saints have thrown a “wrench” into those plans. Now grant it: the Saints actually have gotten their fair share of love from a sizeable portion of National Sports Media types who cover the League on a daily basis, and a lady like NFL Network’s Kay Adams clearly knows a thing or two about the sport of Pro Football. But nevertheless there are also those who seemingly would rather push the narrative of either the Rams or Chiefs’ respective success this year over New Orleans; such as NFL.com writer Adam Schein did in this article just two days ago (click HERE to read). Whether or not either the Rams or the Chiefs — or any other noteworthy team enjoying success this season such as the Chicago Bears or the Houston Texans — actually have better stories to be told in comparison with the ones of the Saints. is completely irrelevant. The bottom line is that the Saints have NOT convinced every one that they are the “proverbial “team to beat”; and even if they go into Dallas tonight and completely DESTROY the Cowboys. it might not make a difference. It’s something that might not change even if the Saints were to “run the table” and finish out the year (15-1) and earn home-field advantage throughout the NFL Playoffs, which would almost virtually guarantee them a much easier path to the Super Bowl. Simply stated: the Saints despite everything that they’ve accomplished up to this point, just don’t get the acknowledgement that they truly deserve; and not only from rival fans but actual respected and allegedly “unbiased” members of the media that aren’t supposed to have any biases. So as you sit in front of your couch tonight to watching the most highly-anticipated meeting between the Saints and Cowboys in a very long time, keep in mind what you’ve read here this morning and then closely observe what happens if the Saints were to win this game that many want to see them lose. Hopefully the Saints will win the game by a wide margin — and convince their still-lingering doubters to finally give them the respect that they’ve clearly earned….